www.americaneagleinv.com links to other, external web sites that provide information we determine at our discretion contain the most useful information for our program. While many sites provide very useful information, www.americaneagleinv.com only links to those sites which provide the most useful content. 1. Advocacy of or opposition to any politically, environmentally, or socially controversial subjects, issues, or candidates. 2. Disparaging or promoting any person or class of persons. 3. External content not suitable for readers or viewers of all ages, or links to or other promotion of businesses whose products or services are not suitable for persons of all ages. 4. Promoting or inciting illegal, violent, or socially undesirable conduct. 5. Promotion or availability of alcohol or tobacco products. 6. Promotion or availability of illegal drugs. 7. Promotion or availability of adult or sexually oriented entertainment or materials. 8. Promotion, opposition, or availability of weapons. 9. Promotion, opposition, or availability of gambling. 10. Claims of efficacy, suitability, desirability, or other non-objective statements about businesses, products, or services. 11. Content that infringes on any trademark, copyright, or patent rights of another. 12. Claims or representations in violation of advertising or consumer protection laws. 13. Content that a reasonable citizen may not consider to maintain the dignity and decorum appropriate for government. This list is a nonexclusive list. The external link policy applies only to web sites outside www.americaneagleinv.com The webmaster shall establish procedures to monitor the implementation and continuing oversight of this policy. These procedures shall include a process for review of all new requests for external content links from www.americaneagleinv.com Web page to another page to ensure compliance with this policy prior to granting the request. Does the site provide information or services, which are not already available or linked to on www.americaneagleinv.com? If not, is the quality of the site comparable to or better than what is already provided? 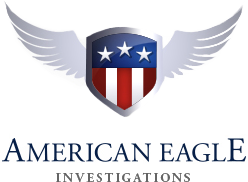 www.americaneagleinv.com reserves the right, at its sole discretion and without explanation, to withdraw at any time any external content for any reason.